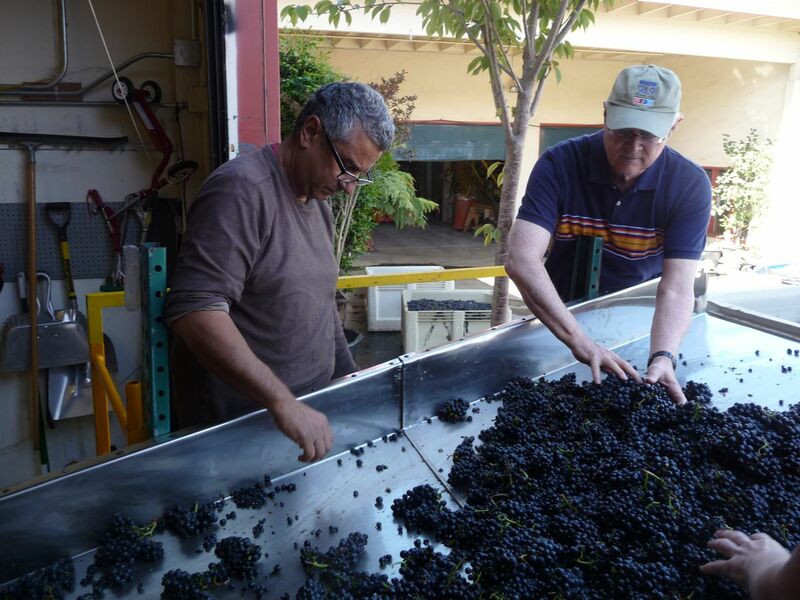 We had our first harvest this week for 2009–our Beresini Vineyard Pinot Noir. The fruit, beautiful, tasty and at perfect Brix (sugar) and pH levels, was telling us it was time to pick. Those of you in the Bay Area know that Mother Nature was not in agreement, however. She handed us some rare and unexpected thunder showers just before our planned harvest date. Luckily Beresini is in the Carneros appellation just north of most of the weekend showers that hit our area and with a minor date adjustment, we were able to pick, sort and de-stem the fruit without a problem and under sunny skies. Uzi was in the vineyard to help harvest and take the video and then met us at the winery with the grapes.